Mastey Regide Mega Hold Spritz, For root lift, spikes & lasting style retention. Regide - Mega Hold Spritz delivers long-lasting support for lifts, spikes and other demanding styles. Provides superior volume when root lifting and keeps curls, twists and locks in place with all-day hold. Can be applied multiple times without fear of flaking, sticking or drying. Leaves hair shiney and washes out easily. Contains sunscreen for added hair color protection, and onhydrous [waterless] alcohol for faster drying. 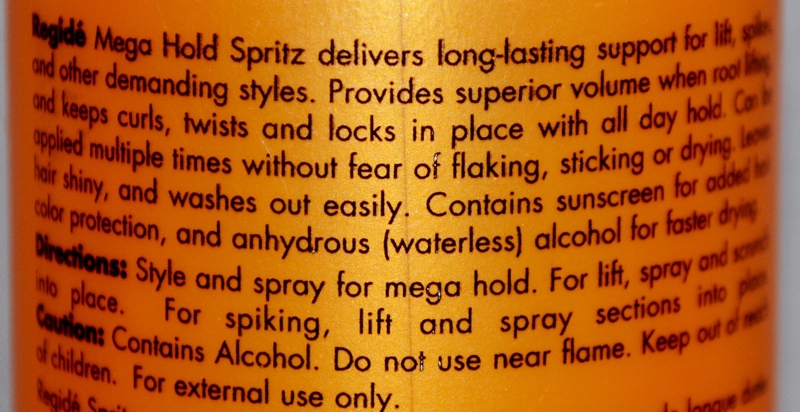 Directions: Style and spray for mega hold. For lift, spray and scrunch into place. For spiking, lift and spray sections into place.